Warranted or not, over the years, Rockstar Games has received criticism over how it depicts women in its games, and how its games never serve to empower them. Individuals who hold this criticism often point to the lack of female protagonists in Rockstar's games and the prostitution system in Grand Theft Auto. Meanwhile, combating this claim, many have pointed to the numerous well-realized and strong women characters the developer has created over the years, such as Bonnie MacFarlane from Red Dead Redemption. However, despite criticisms from certain circles and parts of the Internet, it doesn't appear Rockstar Games is changing its approach with Red Dead Redemption 2. 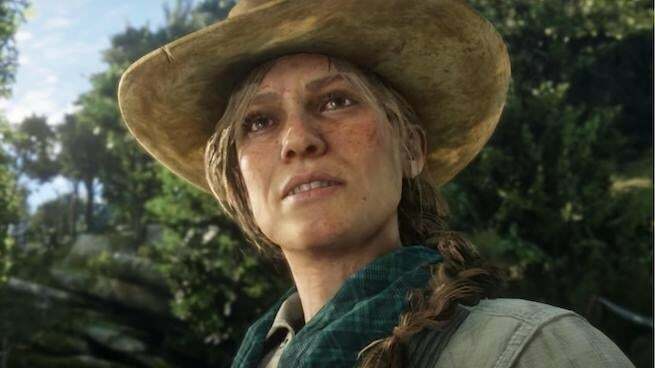 Speaking to Vulture, co-founder of the company, Dan Houser, spoke about female characters in the upcoming Red Dead Redemption 2, as well as addressed the criticism it has received from some about the depiction of women in its games. According to Houser, the percieved lack of women empowerment in its games won't be a problem in the open-world western, which will have a diverse cast of female characters, some strong, others weak. In other words, women will be treated just like men and everybody else in the game. "[There is] This old intellectual called Lillian Powell, who’s come back to the South from New York, who’s almost like a Dorothy Parker character," said Houser. "There are also ones who are weak and ones who are weak and become strong and ones who think they’re strong but are not. And that goes for men, too." As you would expect, the era and setting will play a large role in the representation of genders and races in the game. It was a pivotal time in the suffrage movement of women, and the game will reflect this honestly and accurately. "It was a time when women were beginning to question [their roles], and the Wild West was an area where people could invent themselves for the first time; many of the people who were inventing themselves were women," said Houser. "They were no longer constrained by society, because there was no society." From the sounds of it, Red Dead Redemption 2 will feature a diverse and era-capturing cast of characters, as well as feature some strong female leads that will surely make some of its critics happy. Red Dead Redemption 2 is in development for PlayStation 4 and Xbox One, and is scheduled to release next week on October 26. For more news and coverage on the highly-anticipated game, click here.